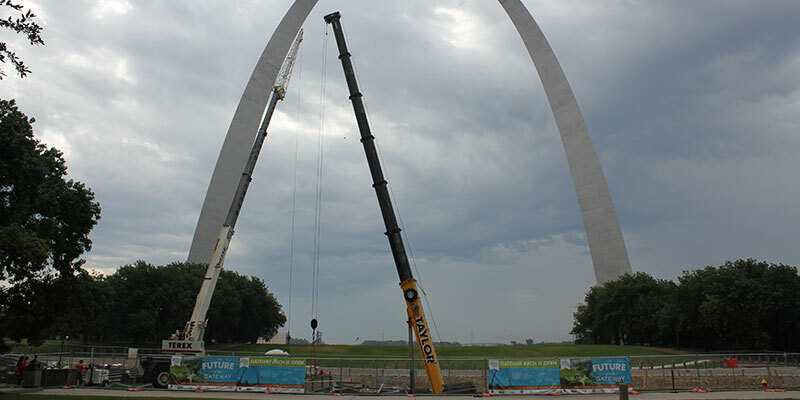 Taylor Crane Rental is an integral part of the new Future of the Gateway project. The highlight of this project is a “Park over the Highway” that will connect the riverfront with the Old Courthouse in one continuous greenway with no steps or curbs to hinder the experience. The Arch grounds will include biking and running trails, space for outdoor concerts and an updated museum that highlights the westward expansion which is a rich part of our St. Louis history. We specialize in operated and maintained crane rental. As a St. Louis based family owned company , we can work with you to customize any job. We are small enough to care yet large enough to get the job done. Our Union Operators are fully trained serving industries throughout the St. Louis and Illinois region. Emergency support is available to help you 24x7x365.